England's penalty-saving heroine Elizabeth Durack reveals the journey that has taken her from Australia to representing her mother's homeland at the Women's U19 finals. Elizabeth Durack's journey from New South Wales to old South Wales has taken a little over eight months. It was brought into stark relief when she threw herself to her right to save a France penalty during England's opening-night draw in Llanelli on Monday. It was a moment to savour for the 19-year-old goalkeeper, who arrived in Britain from Australia in January and now finds herself between the posts for Mo Marley's team here in the Swansea Bay area. "It was a dream 30 seconds to save the penalty but as for the rest of the game I don't think we played exactly as we wanted to," Durack, whose mother is English, told UEFA.com. "Personally I did what I needed to – keep a clean sheet – and the back four played really well. I'm happy we came out of the game with a point and not conceding." However, the teenager, raised Down Under and nurtured at Western Sydney Wanderers, attributed her denial of Léa Declercq's spot kick to "a bit of guesswork and luck", telling UEFA.com: "You just have to pick one way and go for it. Luckily I picked the right way and made the save. As a keeper you either come out as a hero or no one expects you to save it anyway, so it's a win-win situation." Durack's Group A heroics marked the latest highlight in a "whirlwind year" since finishing high school in 2012. Explaining how she ended up at this UEFA European Women's Under-19 Championship, the No1 said: "I came over [to the UK] as I had an opportunity to train with the England squad. They told me that if I was able to stay, they'd help me maybe get into a club. Everton had a spot open and it all fell into place." Hence she has also been thrust into the FA Women's Super League limelight with Everton LFC, learning "bucketloads from training with experienced England goalkeeper Rachel Brown-Finnis as well as players of the calibre of Jill Scott and Toni Duggan". "It drives you on as a young player coming through and it's awesome being up there with them," she enthused. "The girls and staff at Everton – and with England – have welcomed me wonderfully and I can't thank them enough." Durack is not the first Australian to star for the Liverpool-based club, given "Aussie icon" Tim Cahill's long career with Everton's men's team in the Premier League, but she certainly lends an Antipodean accent to the England dressing room. "I think I'm very loud, which a lot of the girls sometimes aren't," she admitted, adding: "But I'm as much British as Australian, and gathered positive things from both sides of my family. That experience brings me to where I am now." Which, on Thursday afternoon in Llanelli, is a derby against Wales. "We wanted the three points against France but we're happy with where we are and we just have to move forward and get some points against Wales and Denmark. I'd say we're positive. There are things to work on but we'll do our best." And how would Elizabeth Durack like to cap her remarkable introduction to English and European football? "First to qualify for the FIFA U-20 Women's World Cup [by reaching the semi-finals] and then hopefully to win the gold – that's what we're all here to do. It would also be nice to keep a clean sheet throughout the tournament. Maybe it's wishful thinking but that's the aim." Thursday's matches between Wales and England, and Finland and Norway have been moved from Richmond Park in Carmarthen to Llanelli's Parc y Scarlets. Playmaker Sandie Toletti did not hide her disappointment as she reflected on France's failure to beat England, twice hitting the woodwork and squandering a second-half penalty. England's "mature and resilient" performance against France left coach Mo Marley highly satisfied while opposite number Gilles Eyquem saw the positives despite the stalemate. 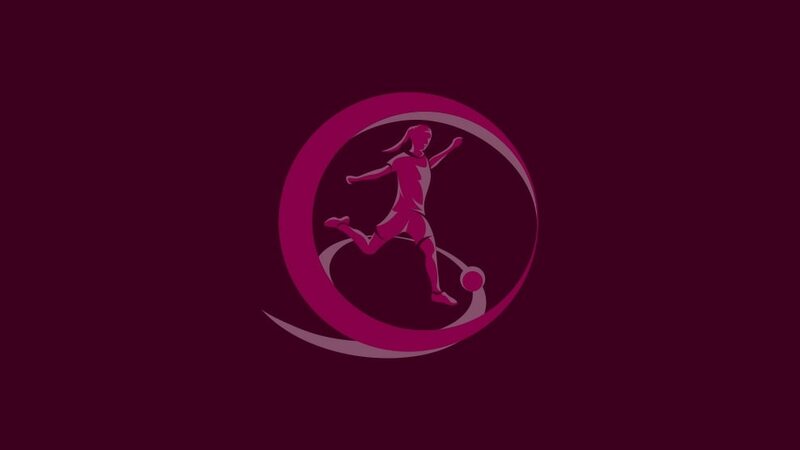 England 0-0 FranceThere was no separating the cross-Channel rivals in Llanelli thanks to Elizabeth Durack's second-half penalty save from France's Léa Declercq.